This is a watch with attitude. Verified Owner Comments: White markings against a black face and case looks ultra sharp. 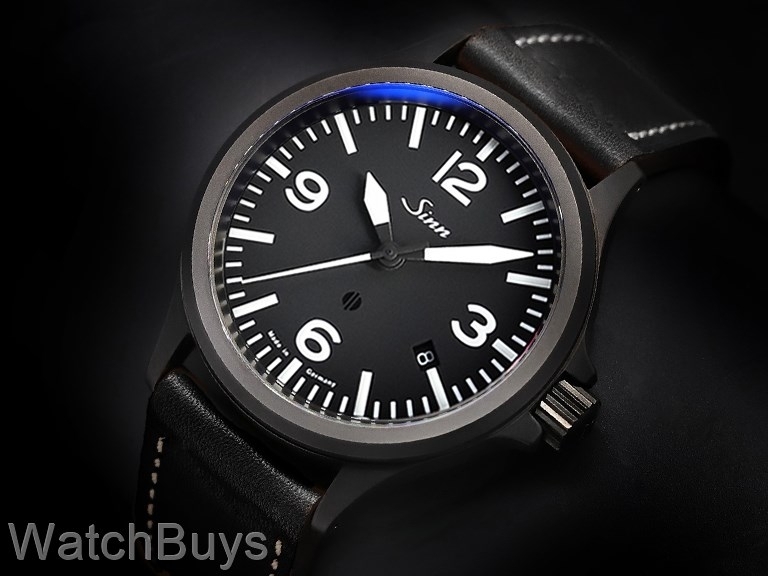 I think the leather strap makes it a great everyday watch, but I switched to a Sinn rubber strap making this black beauty the ultimate weekend warrior watch! Verified Owner Comments: My addiction to "656" style watches started with a regular 656 six years ago; it quickly became my everyday watch. But I had some trouble with it (out of warranty) and got a an 856 UTC while I was waiting for the 656 to be serviced. Well, the 856 UTC is OK, but the dial is just to busy for my taste, so when the 656 came back, the 856 UTC went in my safe where it's been ever since. Then the 656L (white, all lume) came along an it became my favorite. But you see so many white watches these days that it just doesn't seem that special, despite being a limited edition of 300. Now I just got the black-cased non-UTC 856 and all I can say is, "WOW!". The all black case makes the white markings on the dial jump out at you like nothing else I've ever seen. I've put it on a black shark strap which makes it look just a bit more fancy without being ostentatious like alligator or crocodile would be. 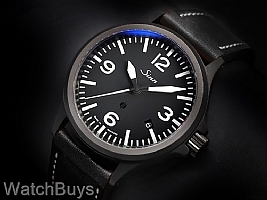 Bottom line: I love this watch!